Picture provided by Shirley Collings Haskins. BACK ROW: 1.HelenIngersoll, 2.DiedraMagula, 3.LarryMurphy, 4.LindaCoffman, 5.PaulSpector, 6.LeonWebb, 7.JohnWaggoner, 8.DavidZweifel, 9.GaryHylbak. 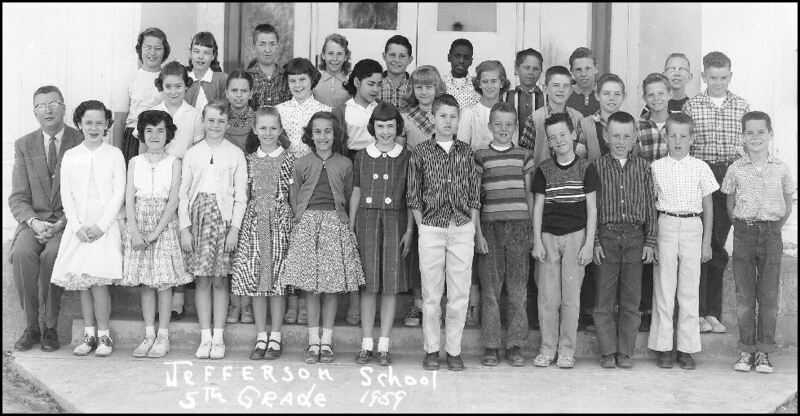 MIDDLE ROW: 1.Mr.Oslin(sitting), 2.JudyCorder, 3.CandaceRaymond, 4.GeorgiaRushworth, 5.BettyJaneO'Kura, 6.AliceBriggs, 7.MaryO'Hearn, 8.CharlesJerman, 9.DonFugua, 10.RichardHope, 11.RudyFranz. FRONT ROW: 1.GlendaGray, 2.ShirleyCollings, 3.DianeHuff, 4.PattyYarger, 5.JaniceField, 6.ClaudiaSkirving, 7.RobinDeJong, 8.RogerHoward, 9.GregSpencer, 10._______, 11.TimMeeker, 12.PatArmstrong.